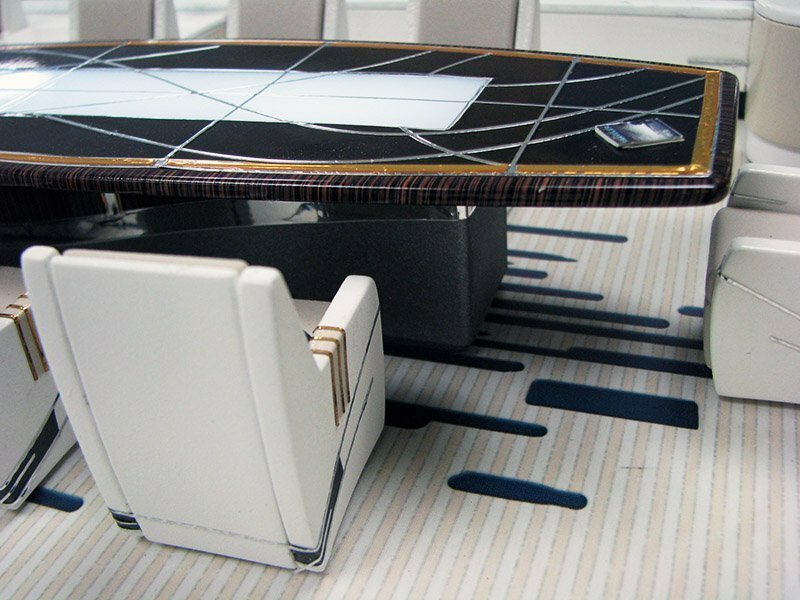 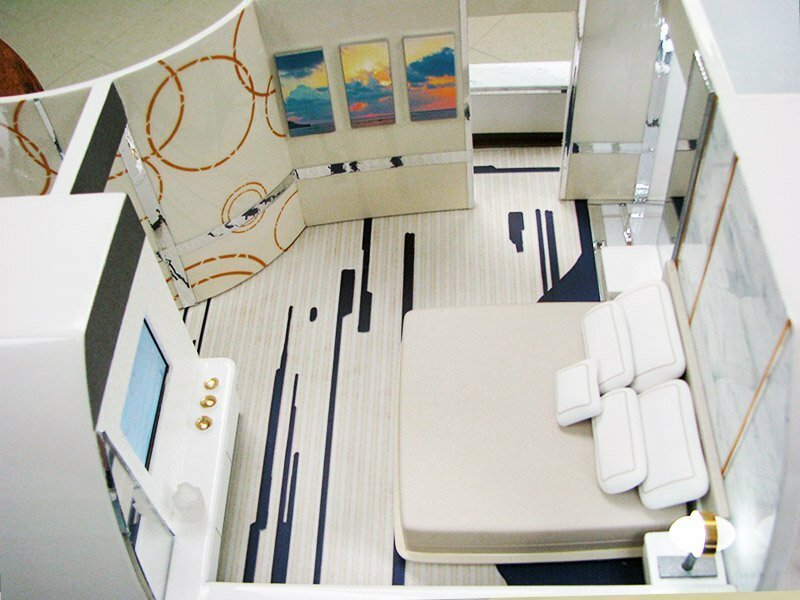 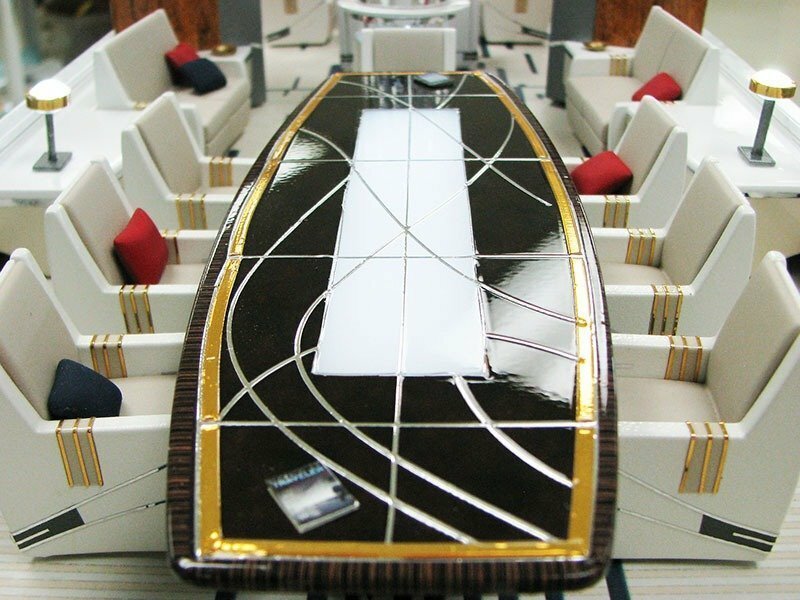 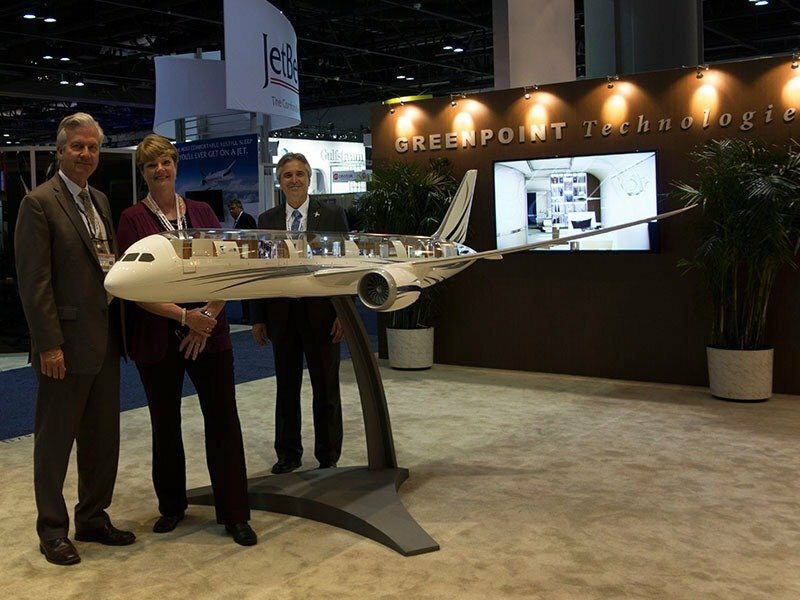 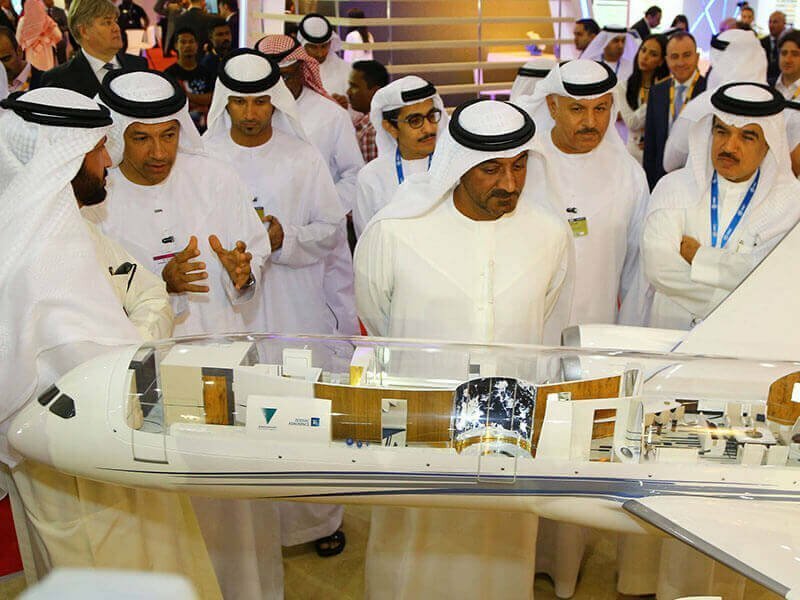 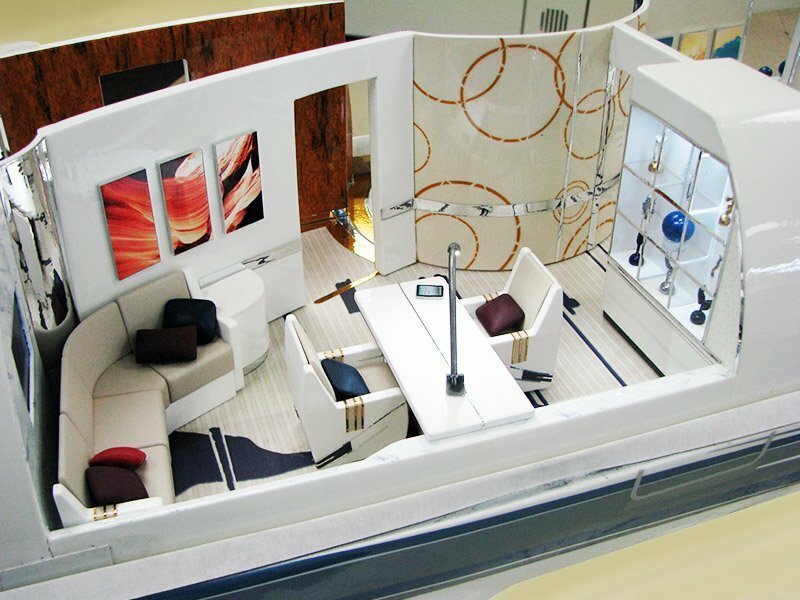 At the 2014 National Business Aviation Convention and Exhibition (NBAA), Greenpoint Technologies* unveiled a breathtaking 1/20 scale Boeing Business Jet (BBJ) 787-9 cutaway to thousands of attendees and aviation executives. 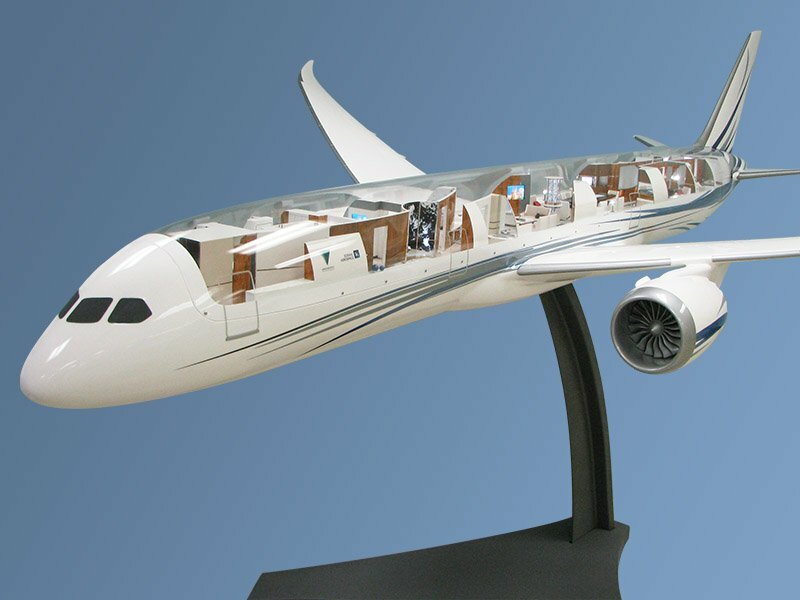 The stunning model stretched over 10 feet (3 m) long! 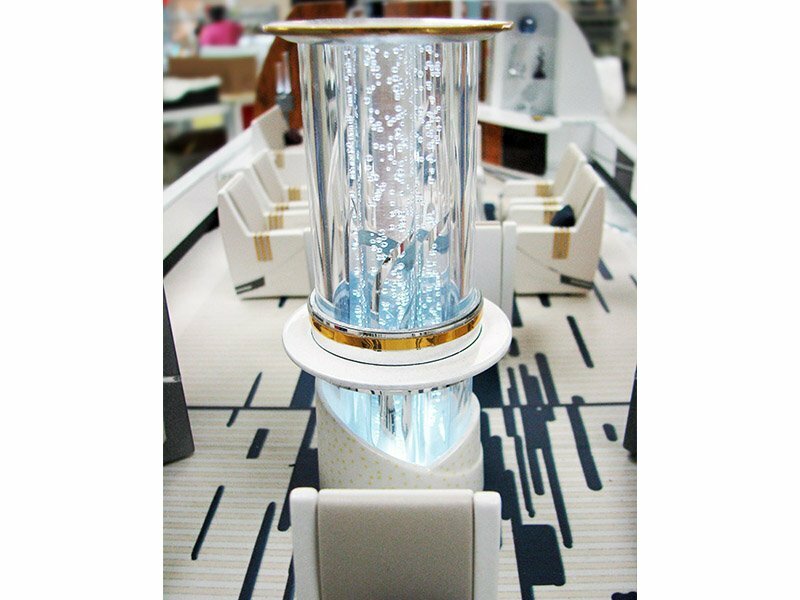 Its clear Plexiglas dome allowed attendees to take a up-close and intimate look at the aircraft’s elegant, bespoke Azure interior. 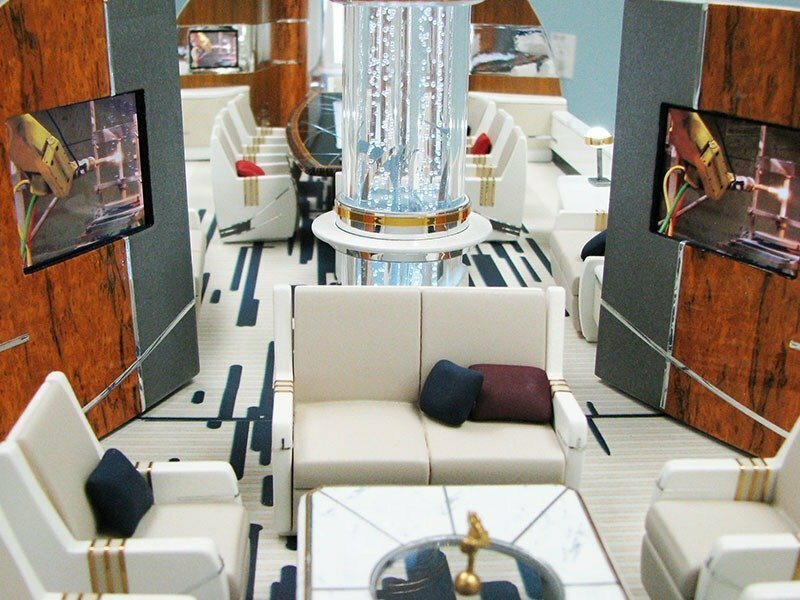 The livery and interior design were inspired by nature and emphasized organic form. 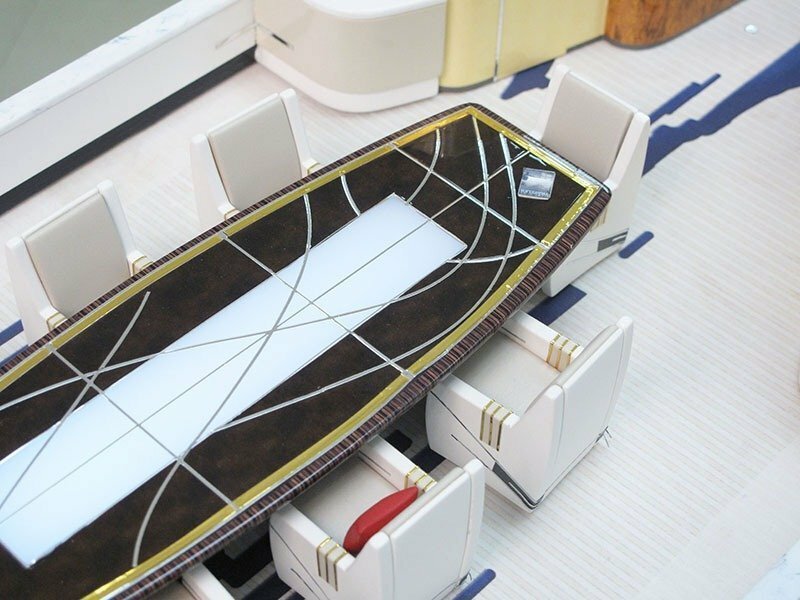 Luxurious natural materials, such as wood and marble, were incorporated throughout the aircraft. 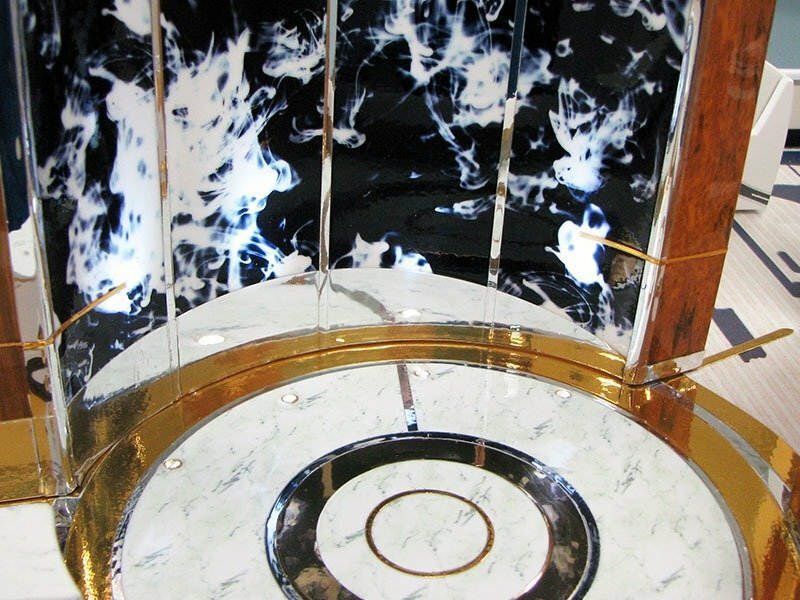 Greenpoint’s vision was then brought to life with a beauty and accuracy only possible with PacMin. 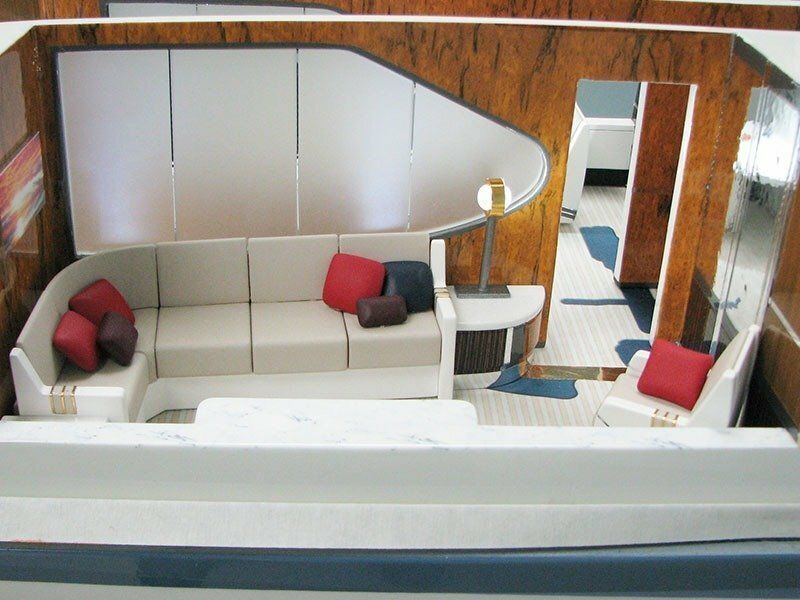 Take a closer look at how we brought this project to life! 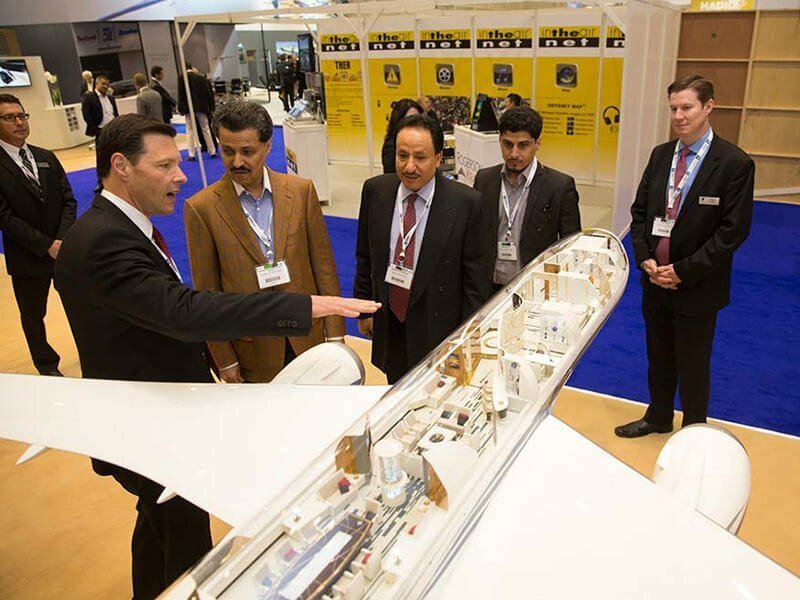 Or subscribe to PacMin News for behind the scenes looks delivered to your inbox.